1-7 Pandan Valley. 623 units. Completed around 1981. Premises has been extensively upgraded in 1999. 4-bedroom: 184-208 sq. m - maisonette type with big balconies. Penthouse: 218 - 363 sq. m.
Bedrooms: wooden (parquet). Some owners have upgraded but some units are still original condition. Very beautiful swimming pools surrounded by green trees. 24-hour security system, playground, covered car park, playground, tennis courts, squash courts, multi-function rooms, mini-market, gym, "library", Clubhouse and retail shops. 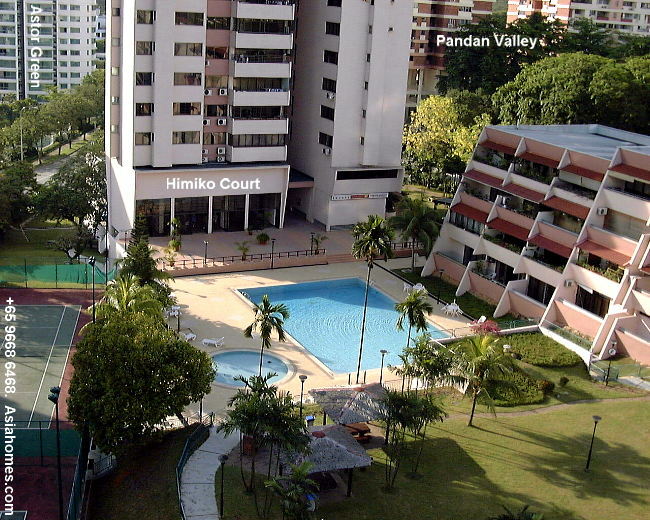 Pandan Valley is surrounded by condos such as Himiko Court (Himiko Court in the picture on the right, had been demolished as at 2011) and Ridgewood condos. Advantages: Near Holland Village, a prime expat area as it is near the Australian, Canadian, Japanese and other International Schools. Feeling of residential ambience and plenty of space for adults and children. Age of condo being over 20 years old. However facilities have been upgraded and condo has abundant green-trees garden ambience and sprawling grounds. Lifts do NOT stop at every floor. Some lower units have no lifts, need to walk up. Not having elevators stopping on every floor is uncommon scene in private condos. Units not facing main road e.g. the Eugenia Block may be the best. You don't get the marble tiles of modern condos as most remodelled units use ceramic tiles for the flooring. Some units have used wooden strips. Rents are much lower than new condos. 3 rooms 1335 sq ft $3,300. Case study: The start-up expatriate was denied mobile telephone facilities.
. They refer me to the competitor!" said James, an American in his fifties. 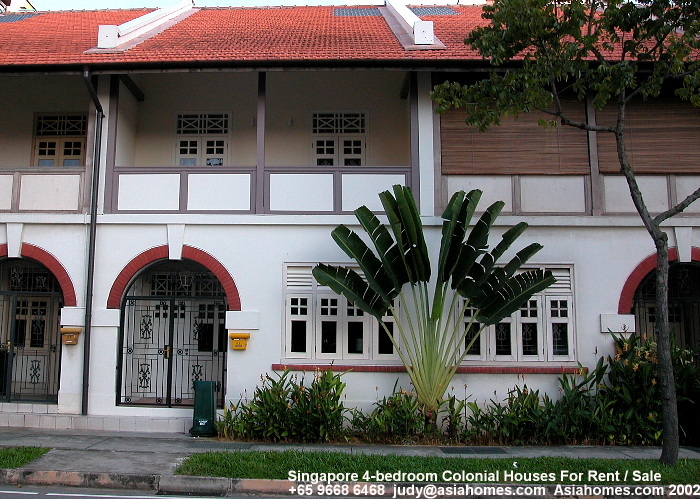 He had rented a Valley Park Condo but now had no telephone because he does not have a Singapore registered company nor an employment pass. He was willing to put down cash deposit but the "red and yellow umbrellas" (referring to the 2 Singapore phone companies) would not entertain him even though he was able to put down a cash deposit! His main business was in China and the region but not Singapore which did not have the farmland nor require irrigation systems! No solution unless a local was willing to register the phone on his behalf while the bill was paid electronically by his US company. In this case, the expatriate was not working in Singapore and was residing here on valid visit passes. Would the Landlord be charged and jailed the mandatory 6 months for renting to an illegal or harbouring an illegal?